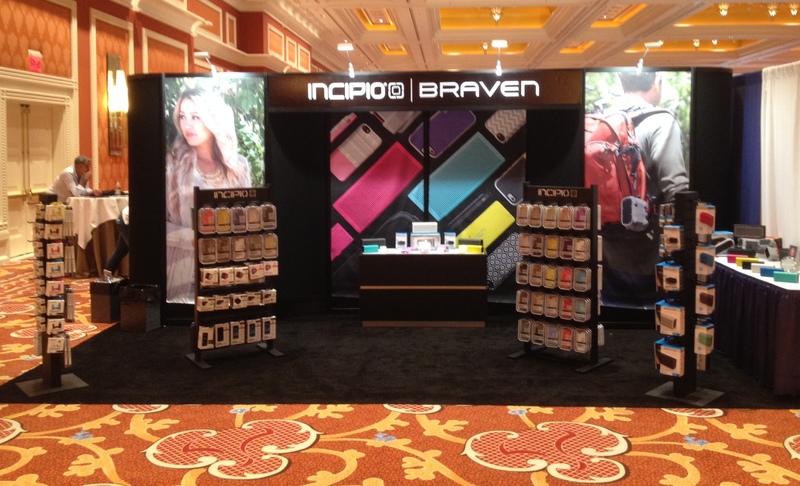 Our customer Incipio wanted to use fabric banners to give a snazzy look to their trade show booth. Instead of velcro applied laminated graphics, they used our tri-poplin fabric. The look is bright and happy, the lines are clean and modern. Fabric is nice in this application because it has a soft look and doesn’t give you glare trouble in trade show lighting. We are doing a lot of it these days for events and trade shows. We can print up to 54″ width and 20 ft length. Give us a call if you want to talk about using fabric banners for your next event! This entry was posted in Fabric Banners and tagged cloth banners, fabric displays, trade show banners, trade show graphics. Bookmark the permalink.